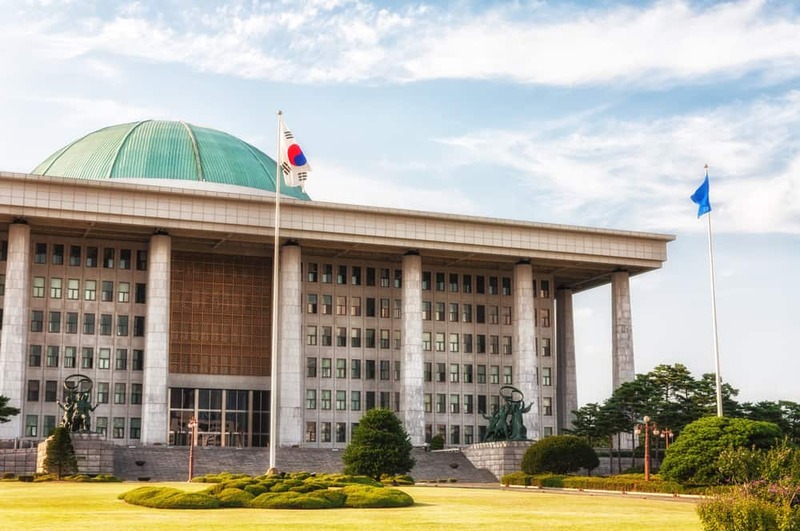 Blockchain technology and ICOs (initial coin offerings) are high on the agenda at the South Korean National Assembly’s extraordinary session. In the past, South Korea has adopted a strict approach to cryptocurrencies. It is, however, in the process of discussing the possibility of legalizing ICOs and forming a new blockchain and cryptocurrency hub on Jeju Island. South Korea also recognizes the importance of having “unified regulations” with the international community. According to Business Korea, the National Assembly of South Korea convened in an extraordinary session to discuss different ways to promote cryptocurrency and blockchain technology. Although South Korea enacted a blanket ban on initial coin offerings (ICOs) in September 2017, the National Assembly is interested in creating new guidelines for the ICO industry. The National Assembly will also discuss the possibilities of setting up Jeju Island, South Korea’s largest island, as a new special area for the cryptocurrency and blockchain industry. Previously, Kim Kyung-jin, a Democracy and Peace Party lawmaker, and Song Hee-kyung, Liberty Korea Party lawmaker, requested the Ministry of Science and ICT to create an ICO guideline that would protect retail investors. The Ministry, in response to the request, is going to do a report on how prepared cryptocurrency exchanges are in the event of a cyberattack. Although at the moment ICOs are illegal in the country, Business Korea believes that discussions concerning the legality of ICOs, as well as the establishment of cryptocurrency investor protection measures, will increase over time. Other developments could also emerge, which includes the roll-out of a cryptocurrency task force for greater structure and order when it comes to cryptocurrency trading. On this note, the National Assembly Research Service released a report stressing the need to set a legal definition for cryptocurrencies before legalization of ICOs can take place. According to the Korea Times, South Korean financial regulators have been planning on ways to ease up on digital assets. An example is the South Korean government’s decision to adapt the “unified regulations” policies set by the G20 nations. For this purpose, the South Korean Financial Services Commission (FSC) and Financial Supervisory Service (FSS) amended their existing guidelines when it comes to “all activities” concerning South Korean cryptocurrency exchanges. While many countries in the world have different stance on cryptocurrencies, many still have fairly “limited regulation.” Unfortunately, this leads to market manipulation and can increase the volatility of the tokens. The Korea Times noted that increased volatility can unfortunately discourage institutional investors from entering the market and slow down the industry’s growth. Cryptocurrencies are, however, a global phenomenon. They cannot be confined to a single country, so establishing clear regulations on a global scale can be extremely difficult. At the moment, limited regulations and uncertain definitions are big components holding the cryptocurrency industry behind. Kim Byeong-yong, a technology journalist in Seoul, noted that cryptocurrency adoption will increase when digital assets can be traded as real currencies rather than be treated as speculative investments. Global banks believe that interest in cryptos would in the future double.